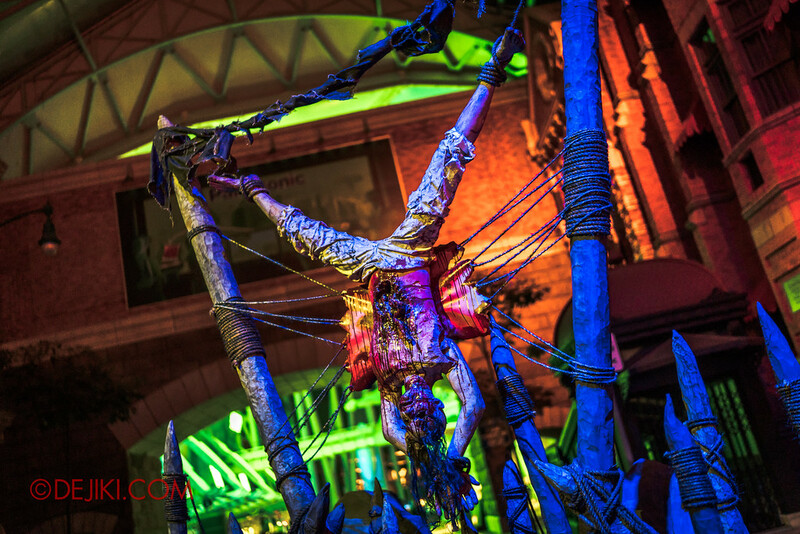 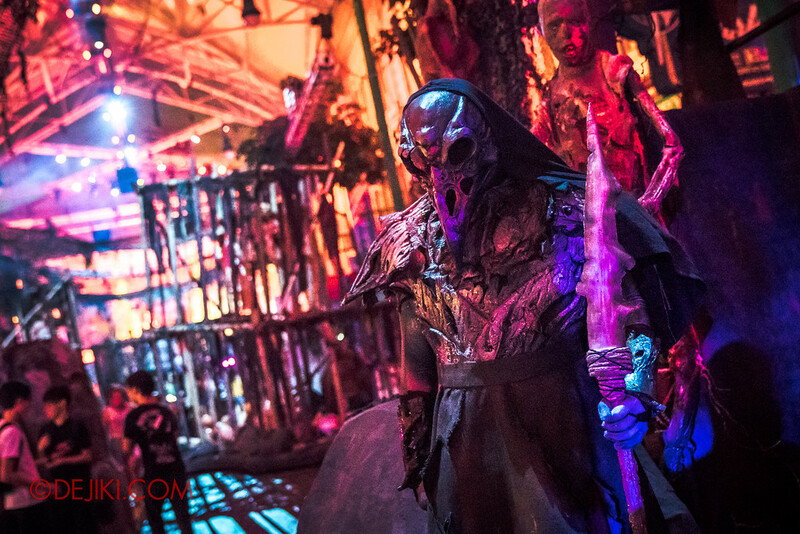 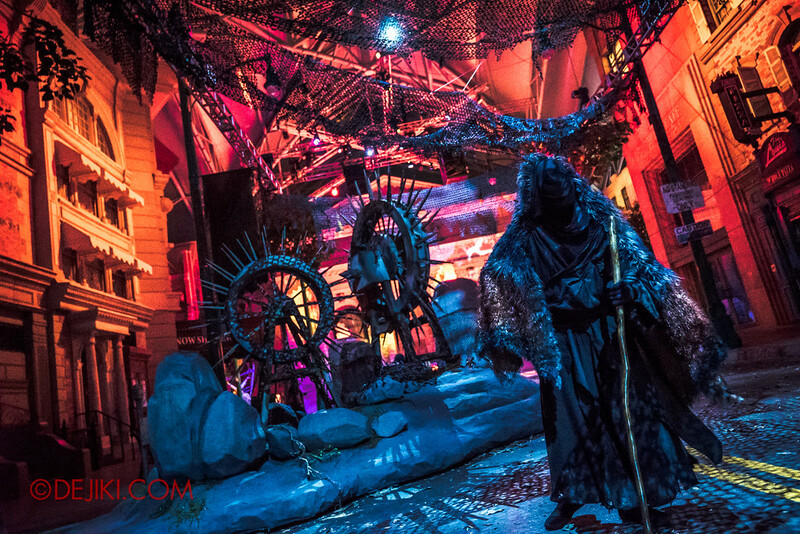 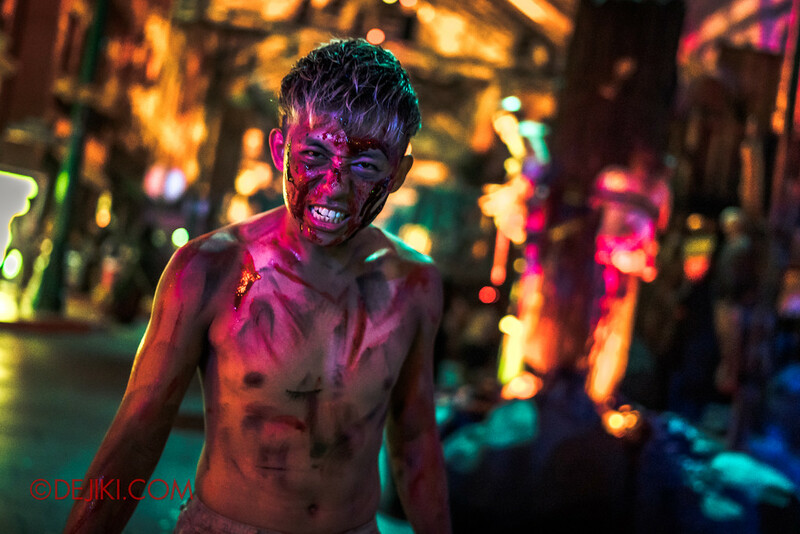 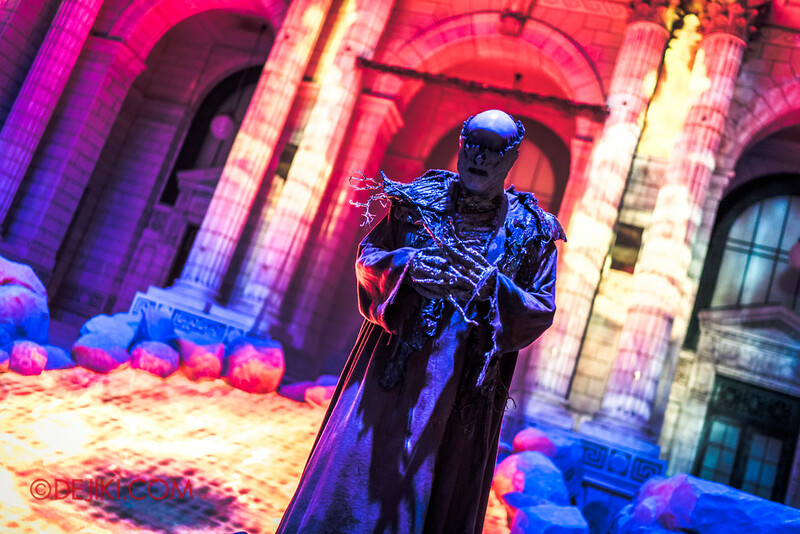 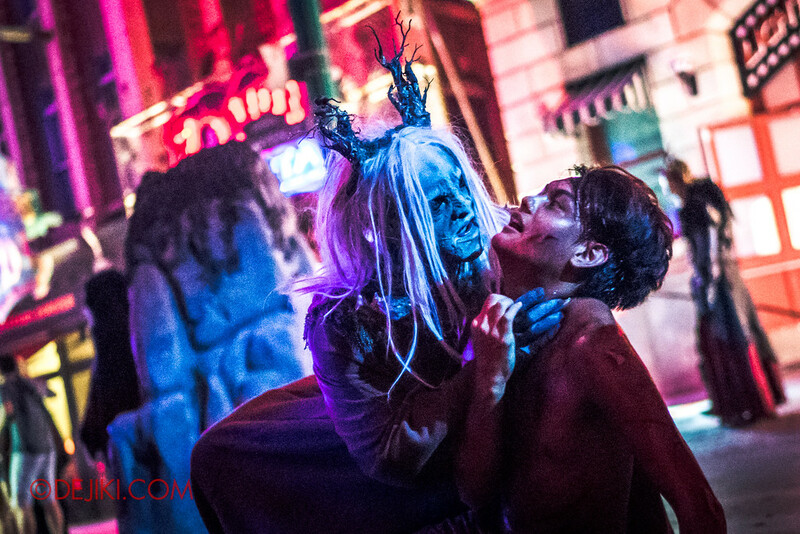 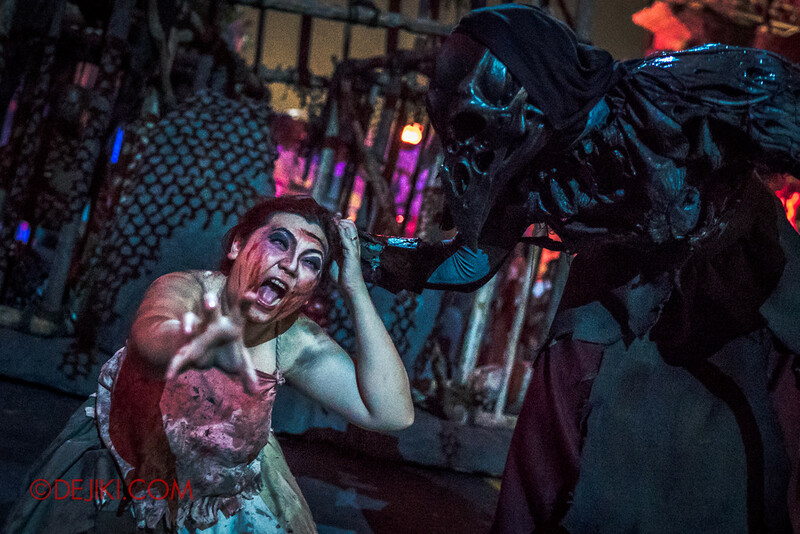 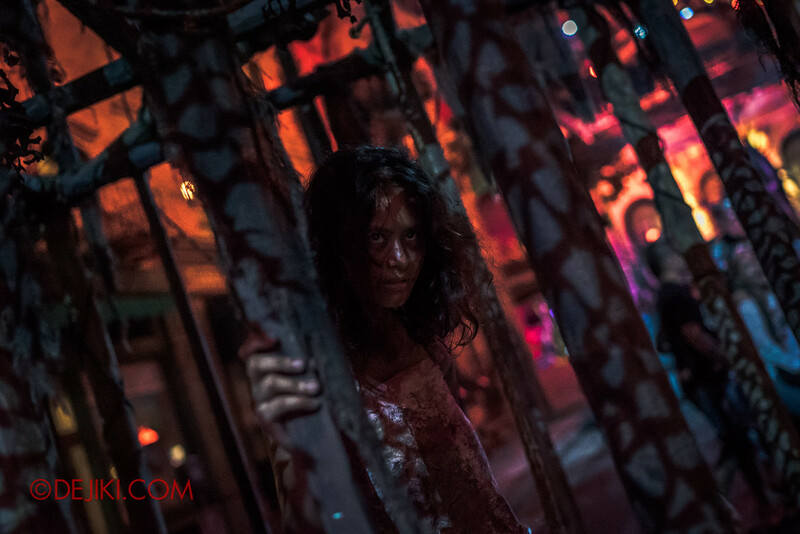 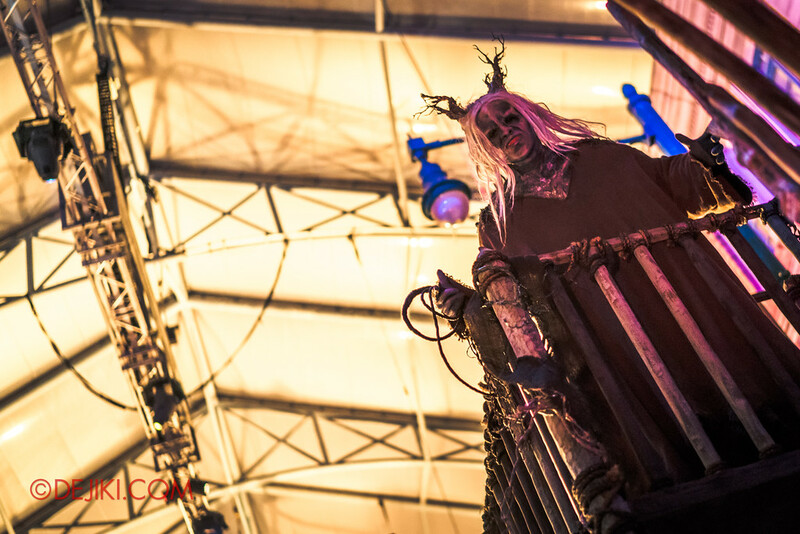 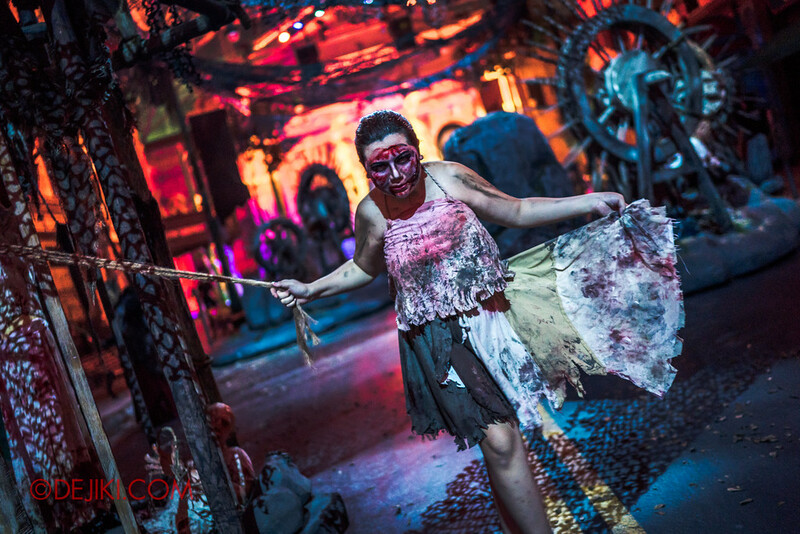 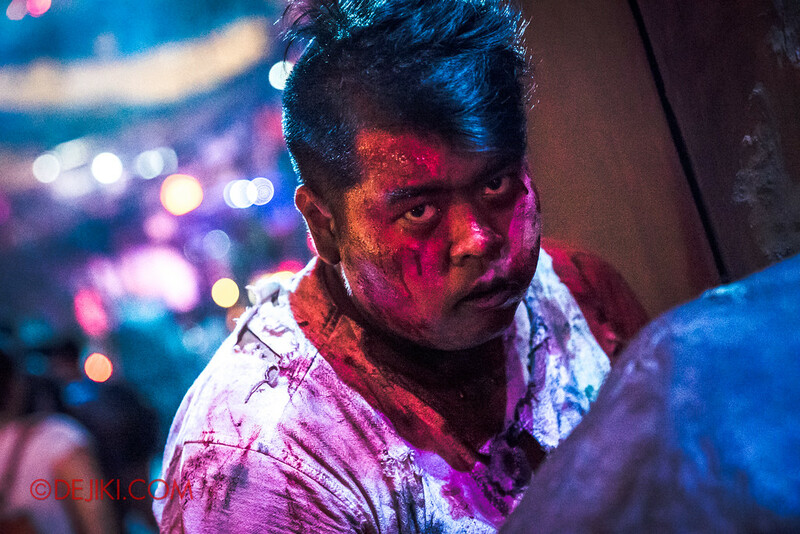 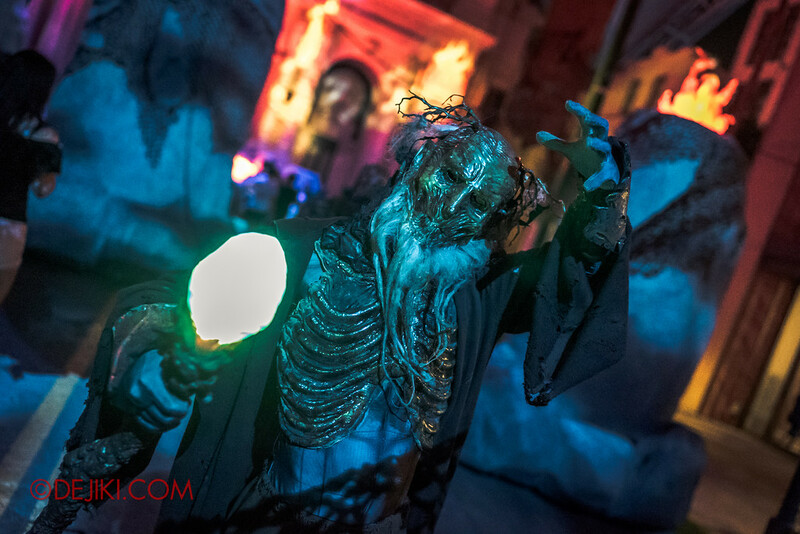 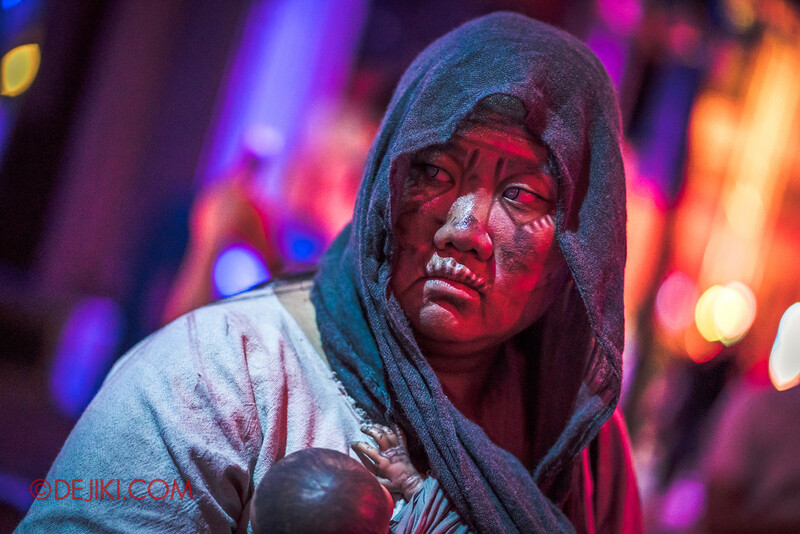 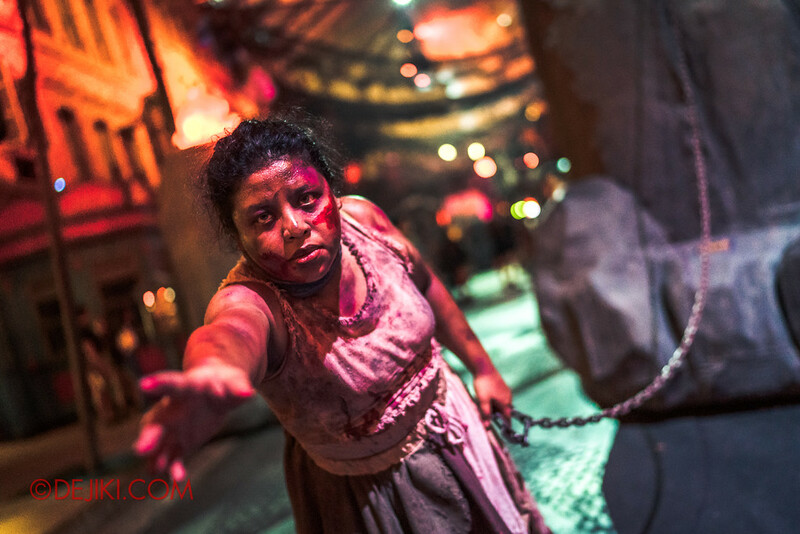 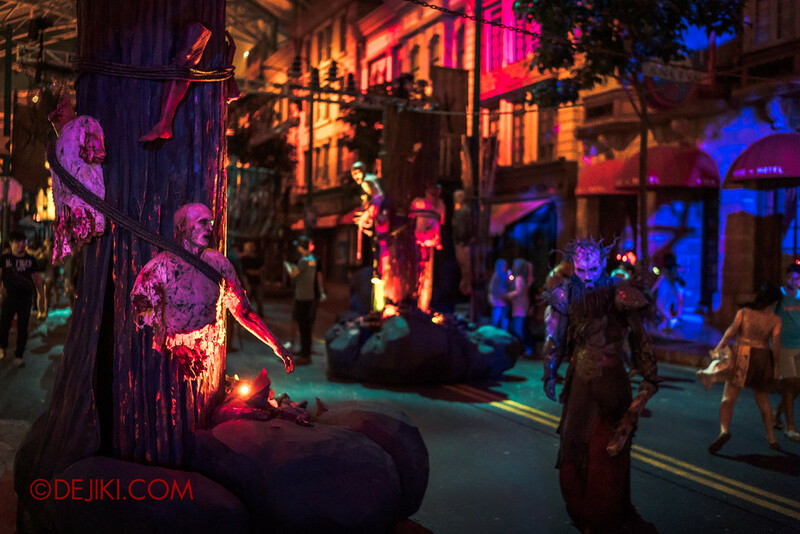 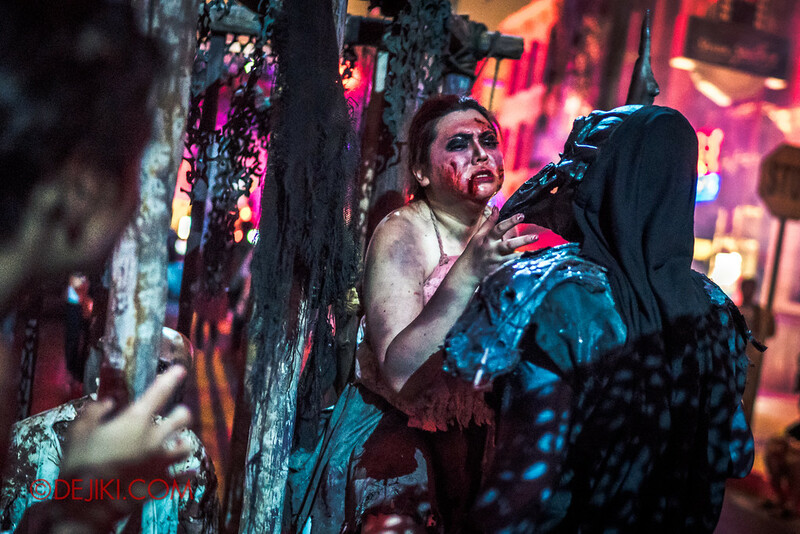 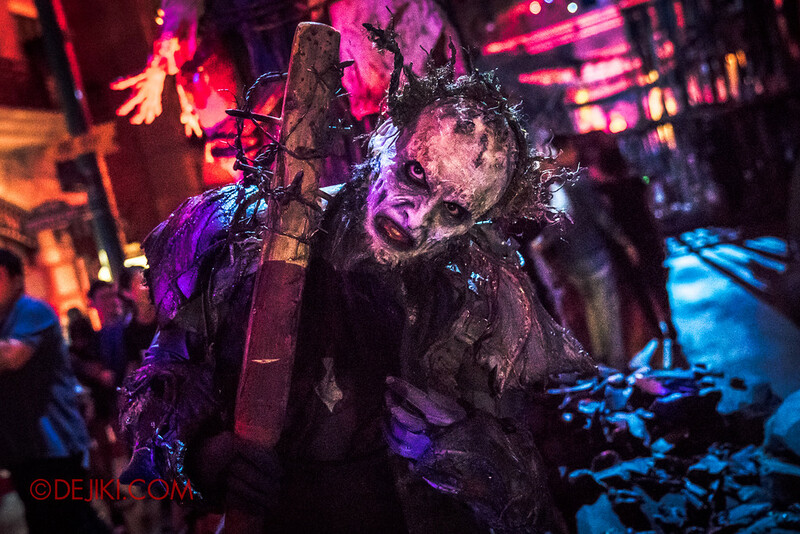 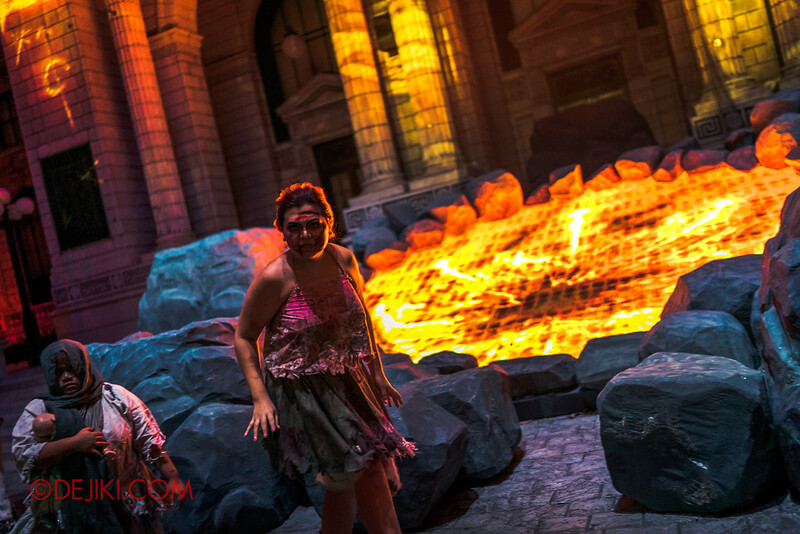 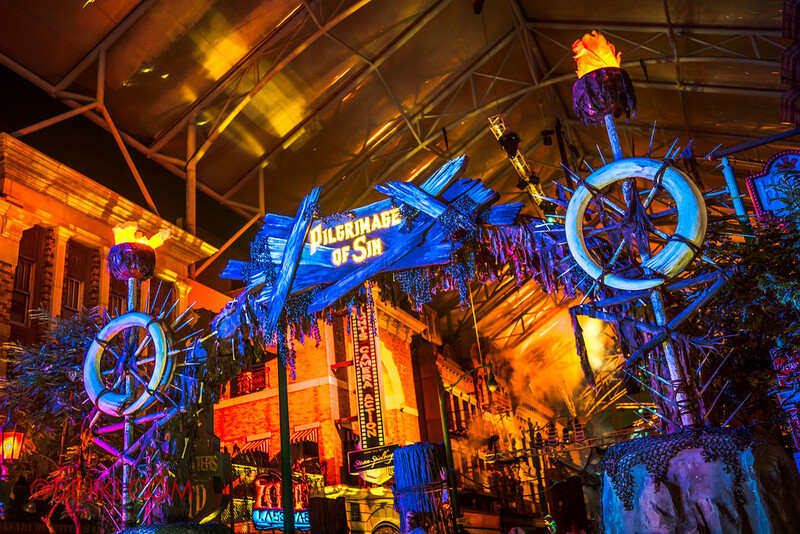 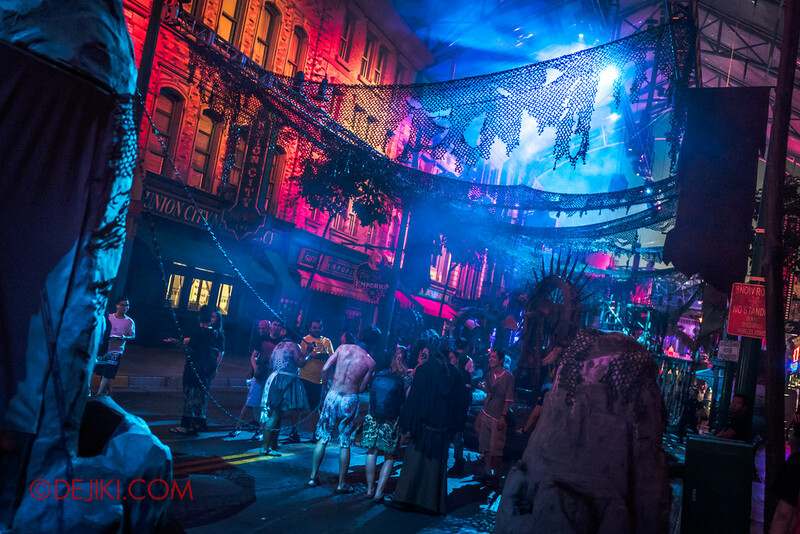 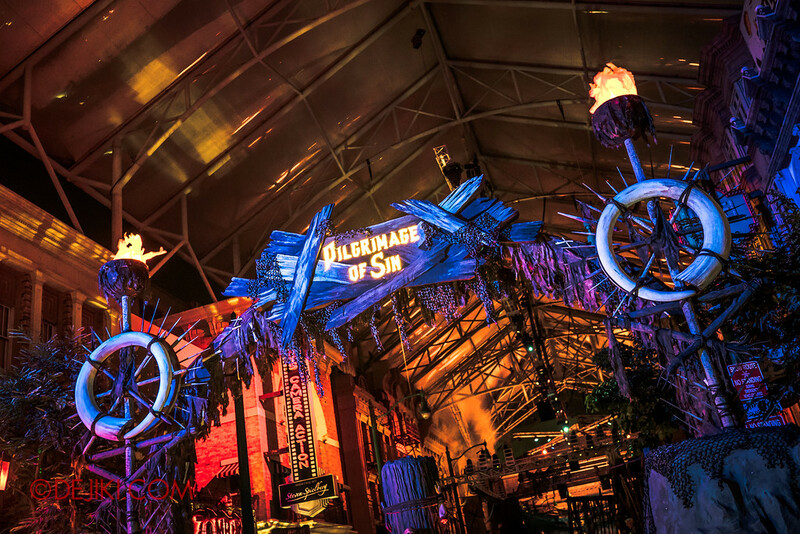 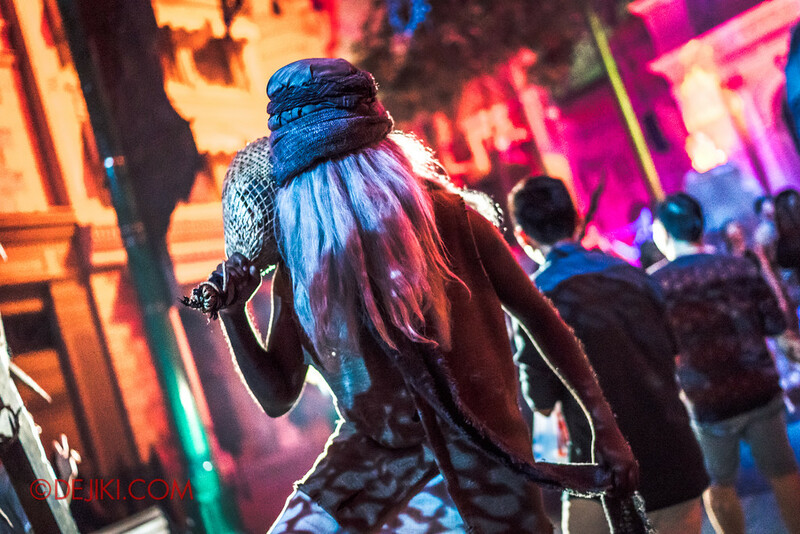 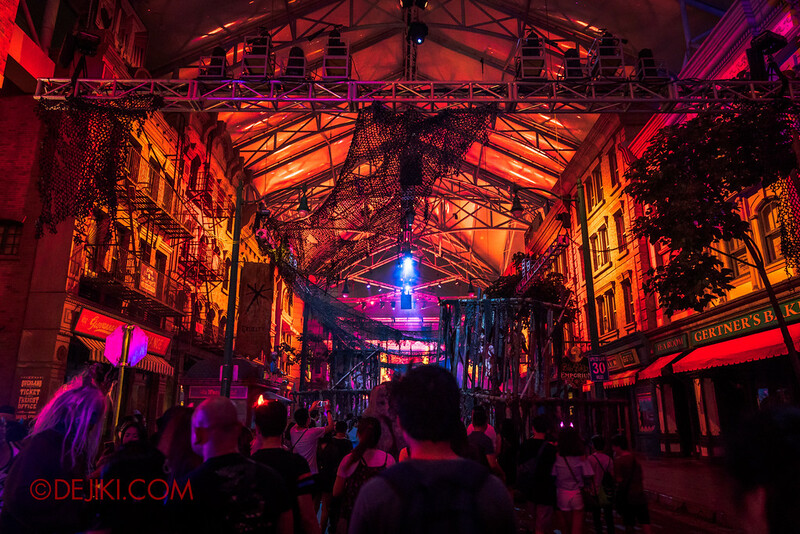 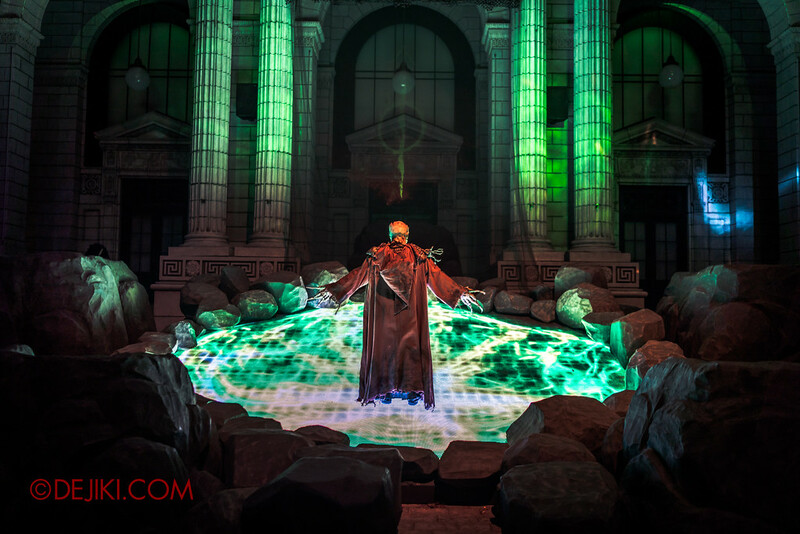 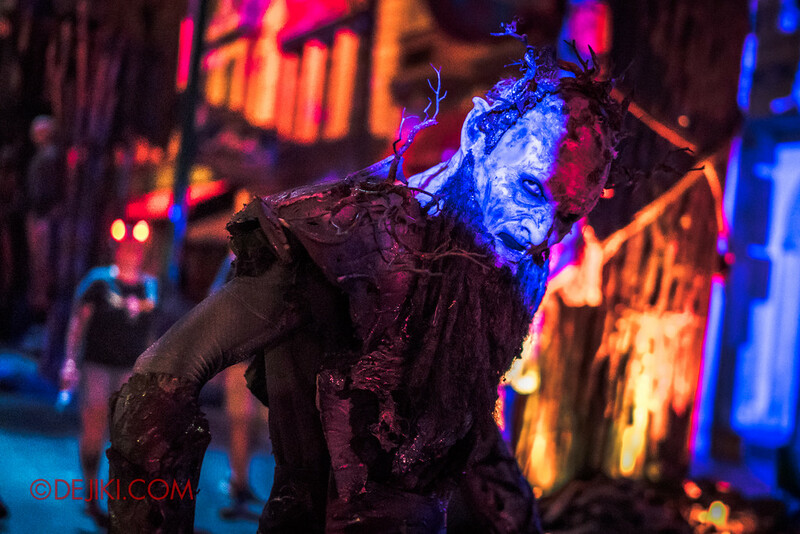 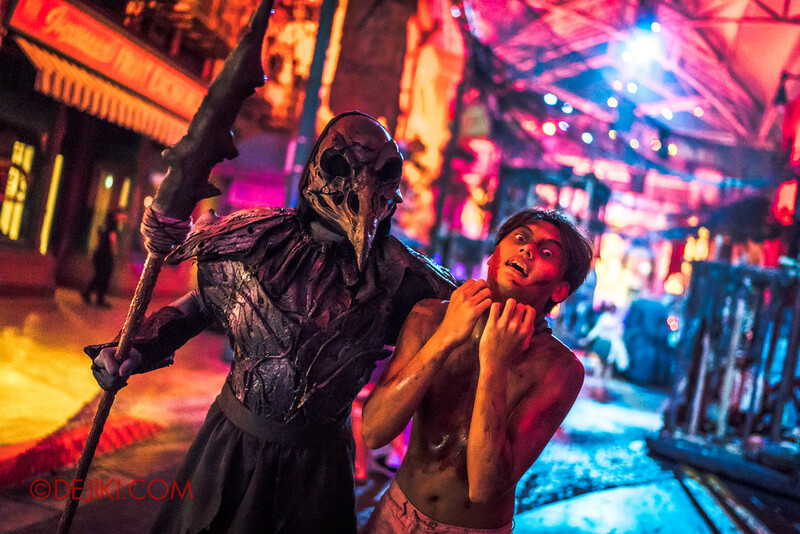 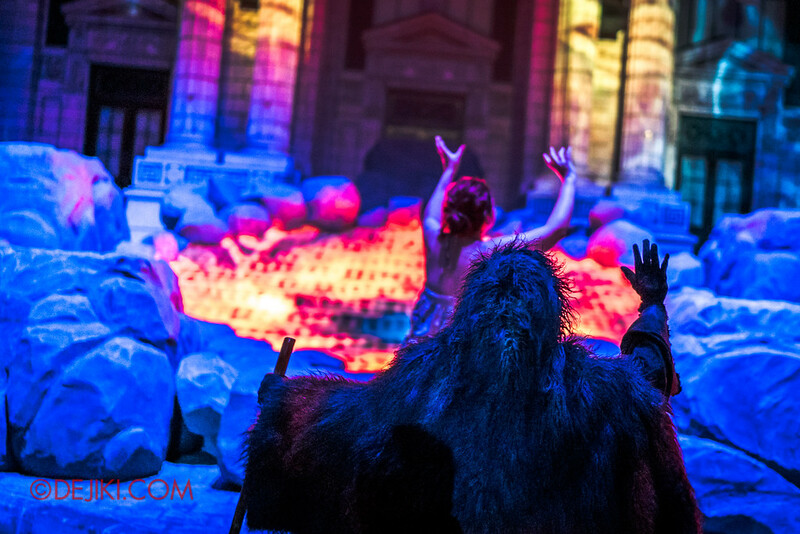 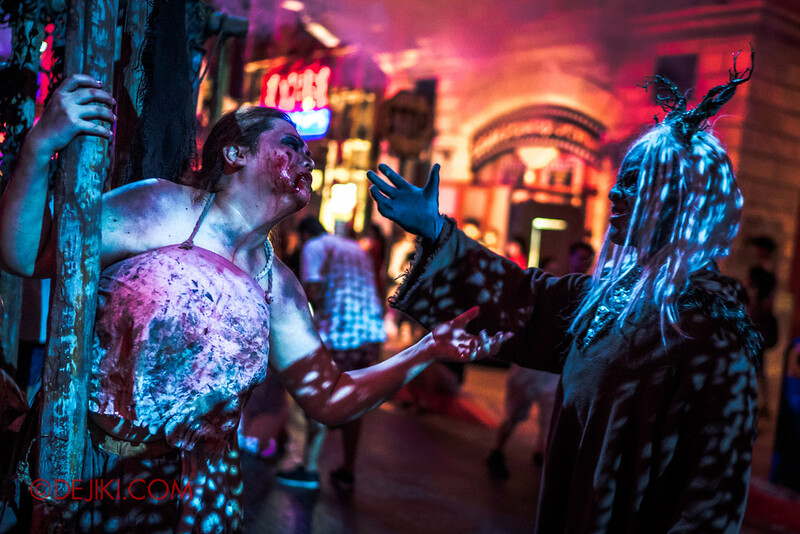 Pay penance at the Pilgrimage of Sin, a scare zone dedicated to Deadlier Sins, at Halloween Horror Nights 7. 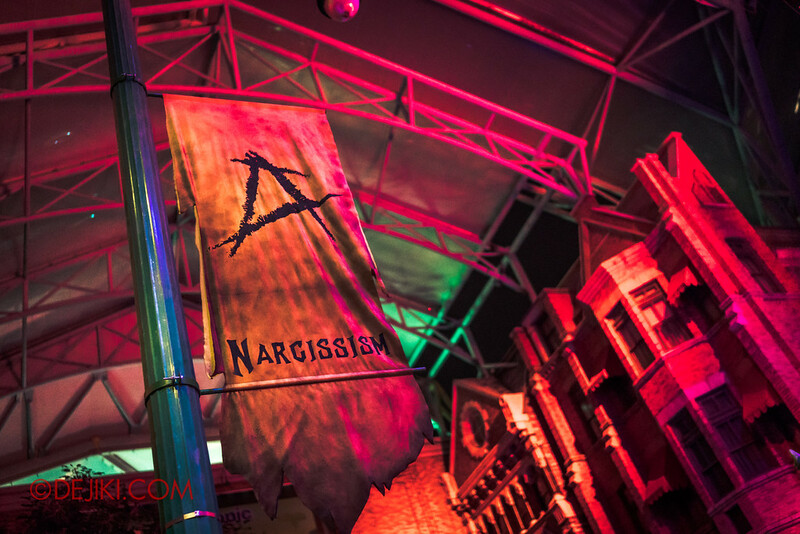 After two years of.. not-so-scary experiences at New York, evil has finally returned. 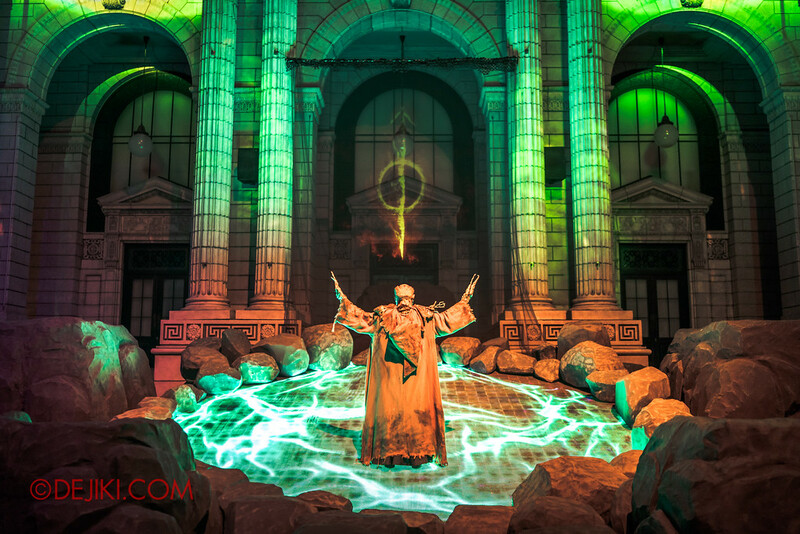 The Pilgrimage is quite similar to DEMONCRACY (2014), where there are multiple ‘factions’ of performers engaging in more dynamic performances. 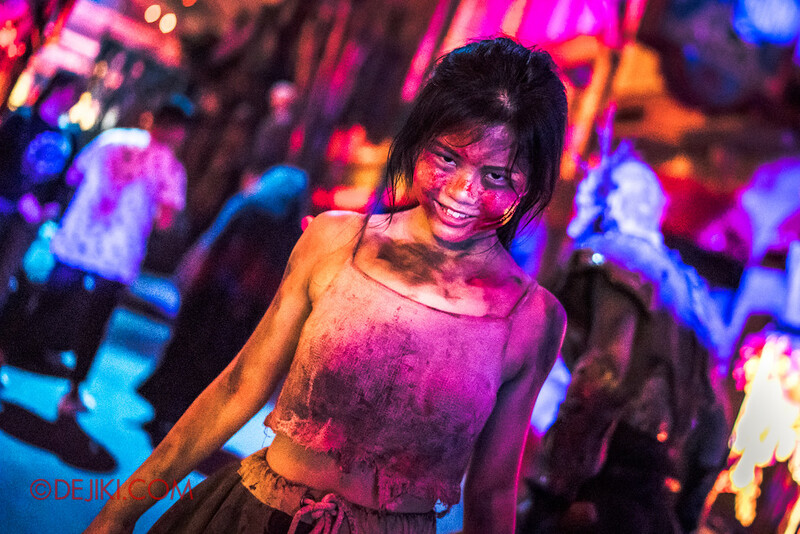 The suffering feels real – and there are lots of graphic violence being depicted with the gruesome props and ‘realistic’ scare-acting that might be too extreme for some guests. 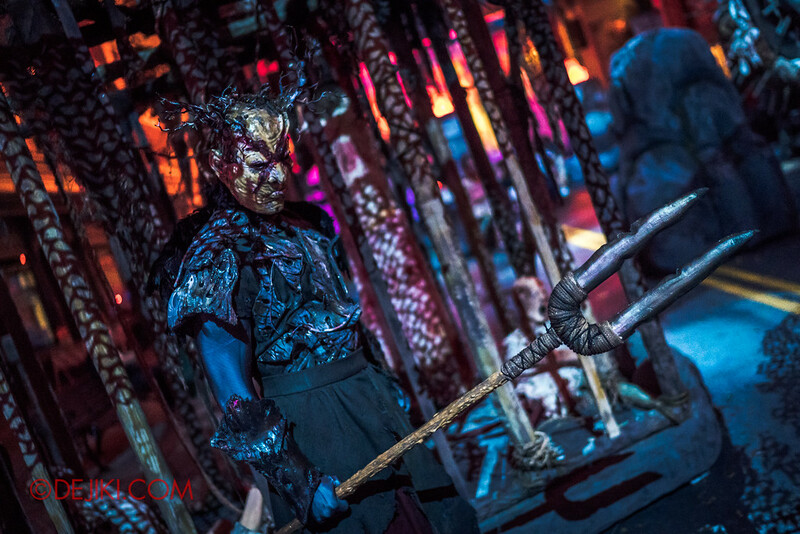 Accompanying the action is a certain haunting chant (probably by “A Monk who kills himself at the end”) which some HHN fans might find familiar. 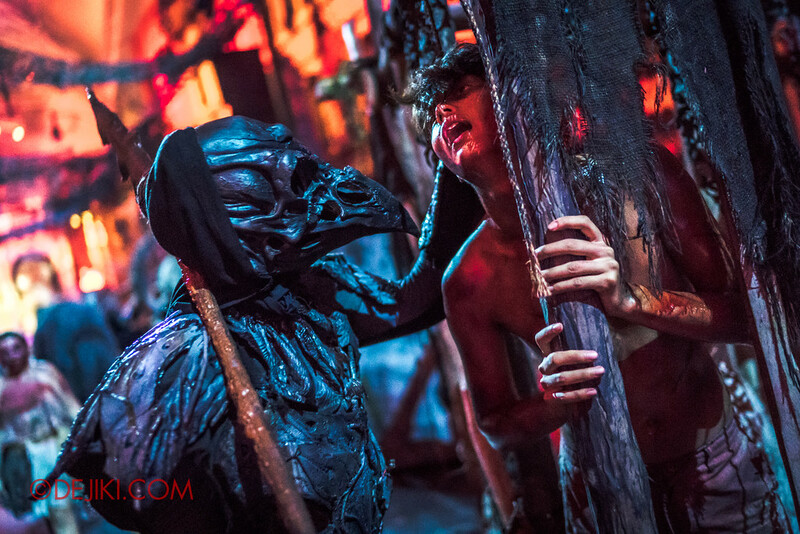 It’s sampled from a scare zone in the past. 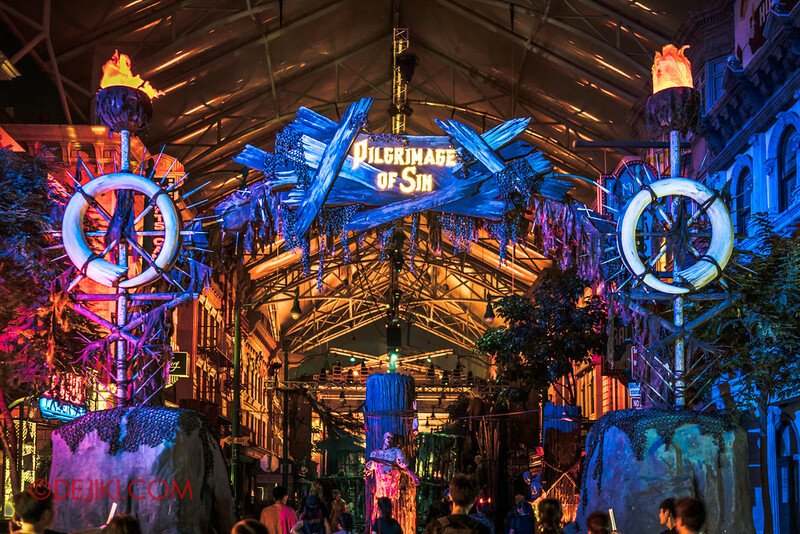 Divided into several sections, the Pilgrimage of Sin has ‘altars’ for the Deadlier Sins, which are manned by the Servants, and Keepers. 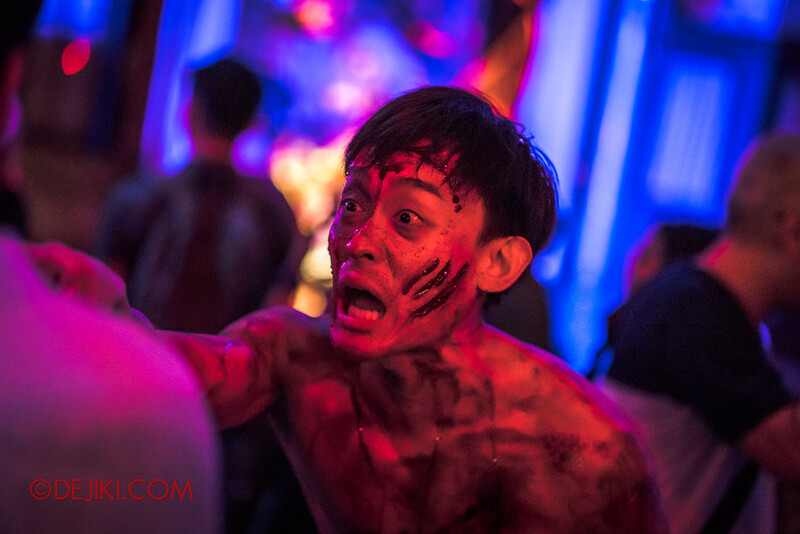 The victims are either running around in fear… or enjoying the pain and suffering. 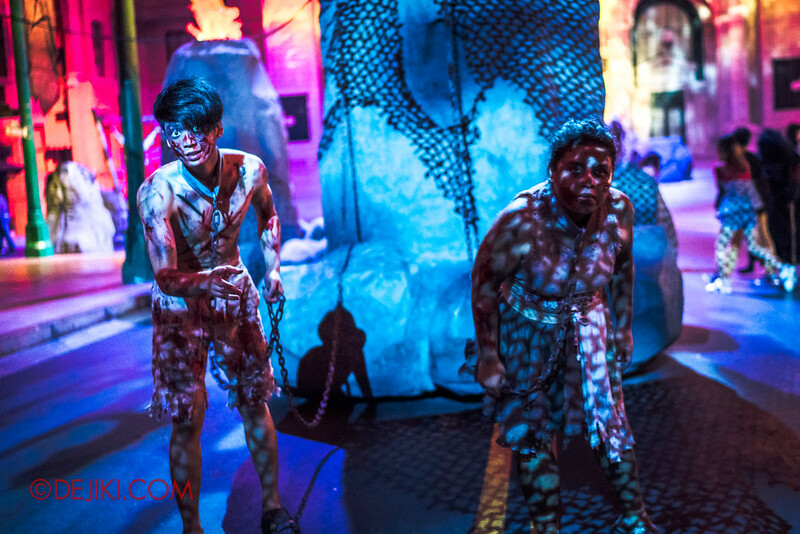 Dramatic moments can happen here – victims being grabbed, threatened and ‘abused’ by the upper echelons of evil. 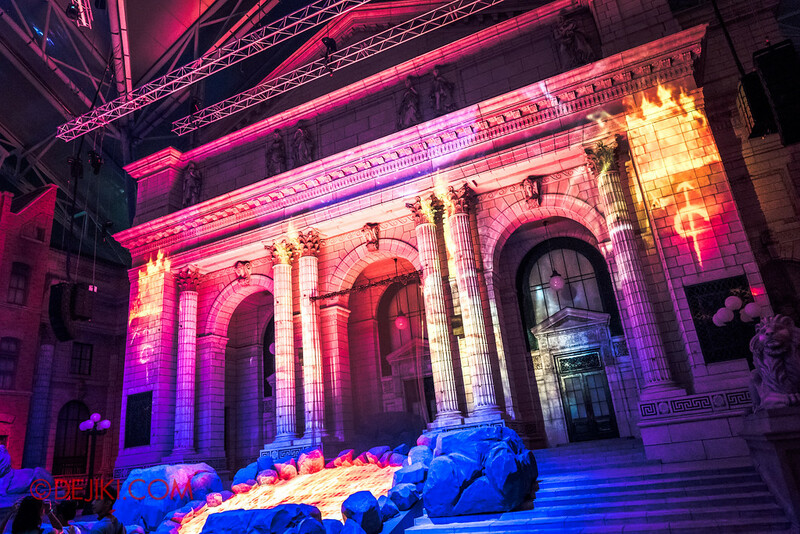 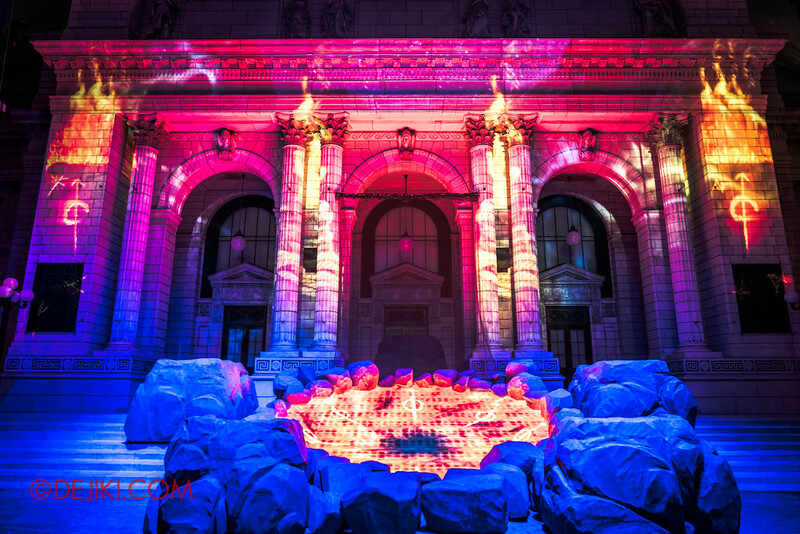 For a few times an hour, the performers will gather in front of the New York Library for a certain ritual that sets off dazzling blazes across the Pilgrimage grounds, as well as spectacular projection effects around the Library facade.